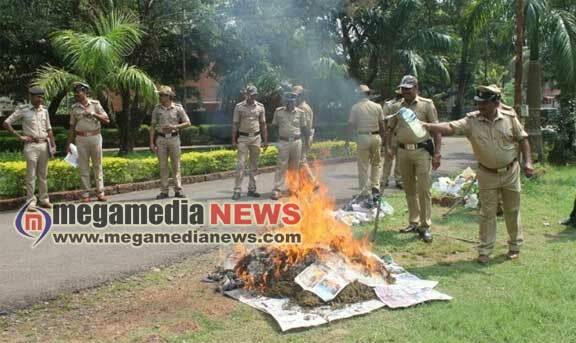 Udupi: Seized ganja weighing around 20 kg was burnt by the Drug Disposal Committee, on court orders in the premises of the district police office here on Friday, October 26. The entire process of destroying the ganja, seized during raids in 15 cases coming under Udupi Town police Station, Manipal Police Station, Karkala Police Station was video recorded. Drug Disposal Committee members Udupi Superintendent of Police Laxman Nimbargi, Udupi DySP Jai Shankar T R, Udupi Circle Inspector Manjunath and other police officials were present during the disposal.